Every smart home is using one or more communication protocols to communicate between devices, the main smart home hub, voice control, tablets, cell phones, switches, light bulbs, relays, media devices, etc. Every protocol has its own advantages and disadvantages. Below are the basic and fundamental choices every homeowner has to make. Z-wave (newer version is called Z-wave Plus) is a protocol for communication among devices used for home automation. It uses RF for signaling and control of devices. Zwave was developed by Zensys, Inc. a start-up company based in Denmark. Zwave was released in the year 2004. Based on the concepts of Zigbee, Z-wave strives to build simpler and less expensive devices than Zigbee. In 2009 Sigma Designs of Milpitas, CA purchased Zensys/Z-wave and has been licensing Z-wave to various manufacturers. Z-Wave uses a source-routed mesh network topology and has one primary controllers. Secondary controllers can exist, but are optional. Devices can communicate to one another by using intermediate nodes to route around and circumvent household obstacles or radio dead spots that might occur though a message called “healing”. Delays will be observed during the healing process. The Network ID (aka Home ID) is the common identification of all nodes belonging to one logical Z-Wave network. Network ID has a length of 4 bytes and is assigned to each device by the primary controller when the device is added into the network. Nodes with different Network ID’s cannot communicate with each other. 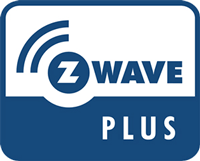 Z-Wave Plus™ is a new certification program designed to help consumers identify products that take advantage of the recently introduced “Next Gen” Z-Wave hardware platform, also know as 500 Series, 5th Generation, Z-Wave for Gen5 or just plain Gen5. Z-Wave Plus certified solutions feature a selected set of extended features and capabilities that enhance the end user experience and make Z-Wave systems even faster and easier to install and set up. Not all Z-wave Plus devices are backwards compatible with standard Z-wave hubs/gateways! ZigBee Home Automation (ZigBee HA) is one member of the ZigBee family of wireless standards (IEEE 802.15.4), which are used for a variety of wireless applications. Like Z-Wave, the technology uses a low-power radio embedded or retrofitted into home electronics devices and systems, such as: lighting, thermostats, door locks, window shades and sensors. The ZigBee Home Automation standard is supported by several companies worldwide. It is important to select products from the same ZigBee standards family such as Home Automaton or Light Link to ensure that the products will work together; the ZigBee Certified mark by itself is not enough to ensure interoperability. In most cases, you will need to purchase all your ZigBee home control products from the same brand, because each manufacturer is free to implement ZigBee in its own proprietary way. BLE mesh networking still needs to be standardized, but it’s already being deployed in some applications, like GE’s connected lighting products (c by GE). By utilizing this new mesh networking capability, individual Bluetooth devices can connect to other devices in networks, enabling coverage of an entire building or home, making it ideal for home and industrial automation applications. The original Bluetooth, known as Bluetooth Classic, was designed as a short-range, cable-replacement technology for point-topoint communications. Initially, the main goal was to synchronize data between mobile phones, but the standard quickly became the default technology for wireless data exchange between personal computing equipment (mobile phones, PCs, PDAs) and peripherals (headsets, cordless keyboards and mice, printers, and such). Even though, the support for mesh networking wasn’t included in the core specification of Bluetooth Smart, several companies noticed that building a mesh network based on this particular communication standard might not be such a bad idea. What makes the smart home network even more possible with the emergence of BLE mesh networks is that Bluetooth is already embedded into many consumer electronics products, particularly smartphones, tablets, and laptops. So not only can Bluetooth sensors be deployed widely in the home. UPB – Universal Powerline Bus devices use existing household electrical wiring to transferring data between each other. UPB uses the so called pulse-position modulation, which is a well known method in digital communication. Each UPB Pulse can encode two bits of digital information and there are 120 AC half-cycles per second, which results in a frequency of 60 Hertz. These electrical pulses are precisely timed and can be easily detected by other UPB devices. They analyze these UPB Pulses and parse the encoded digital information. The other important aspect of a smart home is the smart home hub or smart home controller also called Gateway. There are differences between those nomenclatures. All those names refer to a central device, which communicates with some or all of your smart home devices and becomes the interface between you and those devices. The hub usually refers to a router-like product, which most likely has two communication protocols embedded, which could be Z-wave and WiFi or ZigBee and Ethernet. 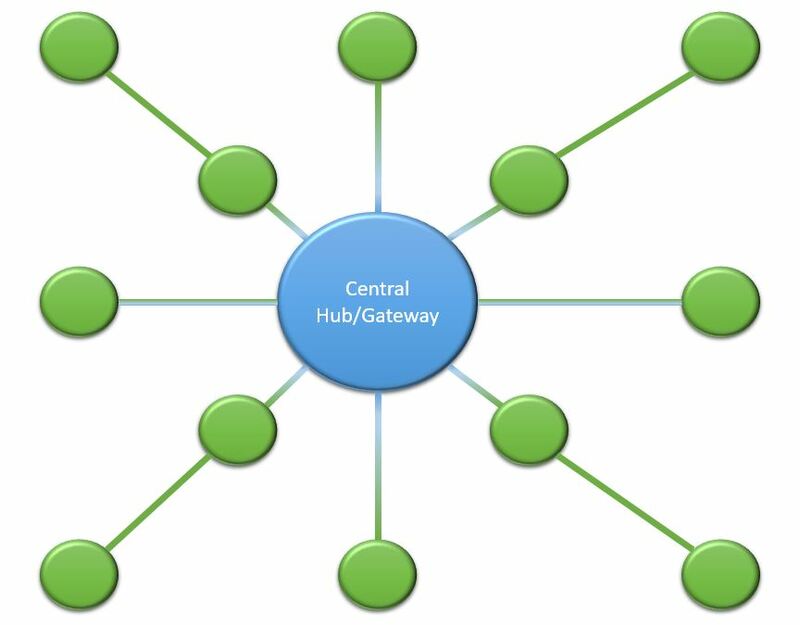 A Gateway devices is slightly different, because in most cases that device offers a variety of protocols at the same time. The good news is, that those controllers usually range from $80 to $400 for small to medium sized homes. 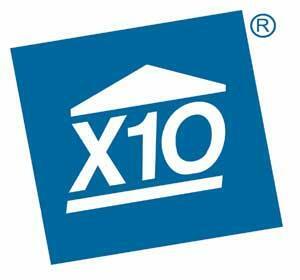 There are solutions, which go beyond this and range from $1,000 to $15,000 base price for large or multi-family homes. The bad news is, that even the price is cheap to obtain one hub/gateway, the hassle to pair all devices with one smart home hub/gateway is not insignificant. For example swapping a Smartthings Hub with a Vera or a HomeSeer hub might cost you “only” $150 to $300, but the amount of time to learn the new interface, define the “smart rules” and pair all devices might take you hours or days depending on how many devices you have and more importantly assuming that the “new” hub/gateway even supports all your existing smart home devices, which is not always the case. 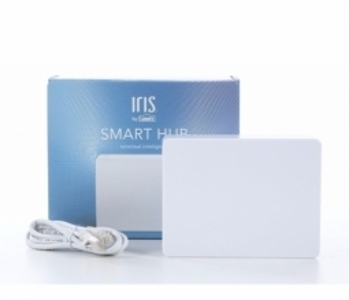 A very important aspect for any smart home hub/gateway is the consideration of monthly costs. Some companies don’t charge any monthly fees and still provide decent support, while others require monthly payments between $9.95 up to $59.95 per month or higher charging by the amount of connected devices. Having the option to choose to pay for additional support via phone/email is a great feature of some companies, while others don’t provide that option by cutting features or functionality and making basic features like a “rules engine” part of a monthly paid plan. In a nutshell, the importance of choosing the right smart home hub/gateway is very important especially looking into the future, what other devices you might want to add to your smart home. What you don’t want to have in the end, is having to live with multiple different smart home hubs/gateways and multiple apps to control your home. Last but not least one important consideration should be the ability to control your home even without internet connectivity. Given the rise of voice control, Alexa only works with the Internet being available and the same applies for Google Home. With that said, there are smart home hubs/gateways out there, which will not function unless Internet connectivity is provided. Below you will find a list of companies and their products and their marketing information from their websites about their hubs/gateways. HomeSeer offers internet–independent home automation controllers that provide full-time (24/7) automation and access to your home. With HomeSeer, your personal information is never stored in the cloud and your home will always be automated, even during an internet outage. Competing “smart hubs” store your personal information in the cloud and are totally reliant on the internet for automation and access to your home. If your internet connection is interrupted, all automation features and access to your home are disabled! Whether you have two smart devices or 200, all you need is one Hub to create a smart home. 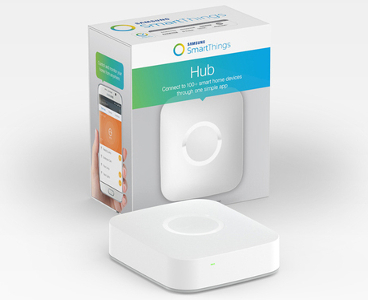 Like a live-in translator, the Hub communicates with all of your different connected products–regardless of their wireless protocol–so that you can easily monitor and control them from the SmartThings app. The Hub contains ZigBee and Z-Wave radios, and is also compatible with IP-accessible devices. There’s no hard-wiring or installation needed. 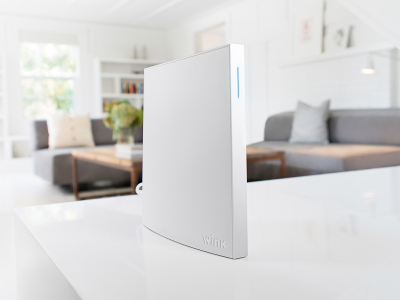 Simply connect it to your Internet router using the included Ethernet cable, attach the power cord to the back of the Hub, and you’re ready to start creating a safer, smarter home. There are a lot of smart home brands out there. Nest, GE, Philips, Honeywell and more. But they couldn’t always connect or communicate with each other. Until Wink. Now you have more choice in what smart devices are right for your home. And more ways they can work together so they’re even smarter. Stay connected to what matters most with the Nexia Bridge. As the hub of the home automation system, the Nexia Bridge—supported by Z-wave wireless technology—allows you to monitor and control locks, lights, thermostats and more—and even program them to work in conjunction with one another. Best of all, you can control all the Nexia compatible products from any Internet-enabled smart phone, tablet or computer. Iris is a simple, customizable smart home system by Lowe’s. Iris streamlines home management and puts power at your fingertips by connecting your Iris compatible smart devices through a single app. There, you can control and monitor each of them. Harmony Hub turns your smartphone or tablet into a universal remote, giving you control over your home entertainment and smart home devices. You can change channels and volume, program favorites, control lights and other smart devices, and build multi-device experiences called Activities. Plus you can do it all even when you’re away from home. Harmony Hub works with over 270,000 entertainment and smart home devices so you can enjoy single-touch control with your favorite brands, right out of the box. From your TV, cable and gaming console, to your AV receiver and Roku® media player—all the way to your smart lights, locks, thermostats, and even your Alexa. Every smart home is using one or more communication protocols to communicate between devices, the main smart home hub, voice control end points, tablets, cell phones, switches, light bulbs, relays, media devices, etc. Every protocol has its own advantages and disadvantages. Below are the basic and fundamental choices every homeowner has to make.